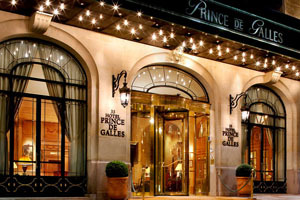 Luxury hotel Prince de Galles is undergoing an extensive renovation programme and will reopen in autumn. Refurbishments at the Starwood Hotels & Resorts-owned Paris property will include an upgrade to the guest rooms, lobby and reception areas and meeting spaces and a new fitness and wellbeing centre will be unveiled. The hotel offers 168 rooms and is located on Avenue George V.